How to Join the Executive Team? How to Obtain a CCR? 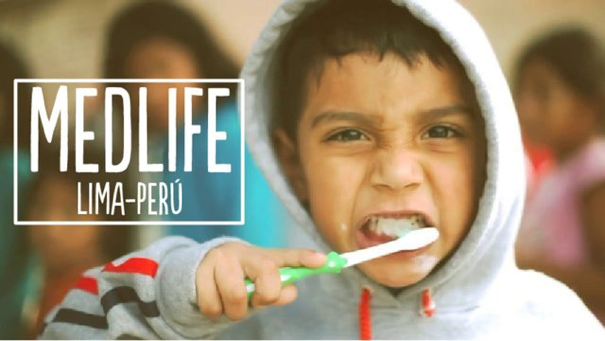 What: Medlife is hosting its monthly toothpaste drive for those in developing countries! For about $1, you can purchase a tube of toothpaste/toothbrush for families that do not have access to healthcare and hygienic tools. You can also choose to write a personalized message and attach it on the toothpaste/toothbrush. This message, along with the toothpaste, will be sent overseas during our mobile clinic trips and given to families in need. How: Medlife runs different stations abroad during their mobile clinic trips. There will be stations for pharmacy, doctors, dentist, triage, as well as a toothbrushing station! When our university chapter goes overseas, we will deliver the toothpaste to the families there to promote hygienic care. The money raised during the event will go towards building facilities. We are currently a part of an initiative that raises money for a community called Kirua to expand their school with a dining hall, a kitchen, and a bathroom. ​To register your spot with us; please click here!